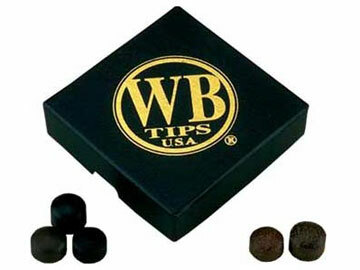 "WB Tips" Cue Tips 13.5 mm high quality Water Buffalo tips. Water Buffalo Hide Cue Tips. Higher Density than tips made from cowhide. Tips last up to 3 times longer.